Signature Fruit Company, LLC is based at Modesto, in California. They are a private undertaking and are categorized under the vegetables and fruit growers and shippers. The company was established in 1932, as Tri Valley growers. Later, in April 2001, they changed the name to Signature Fruit, LLC. Furthermore, in 2006, Seneca Foods Corp., acquired them. They are highly renowned for process fruit products. They deal in processing of variety of fruits like pears, peaches, apricots, mixed fruit, nectars, fruit salad, fruit cocktail and even other concentrates. They are even categorized under Professional services, employment agencies, staffing and also business. There are currently 0 consumer reviews about Signature Fruit CO LLC available. Share your review. Please take a note that you are about to post a public review about Signature Fruit CO LLC corporate office on CorporateOffice.com. This review will be public, so please do not post any of your personal information on this website. 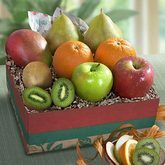 If you would like to contact the corporate offices of Signature Fruit CO LLC, please use their contact information such as their phone number, website, and address listed above to contact them. However, sometimes staff from Signature Fruit CO LLC headquarters do read the reviews on this website.